Replace all your charts and tests with one easy-to-use acuity testing system! 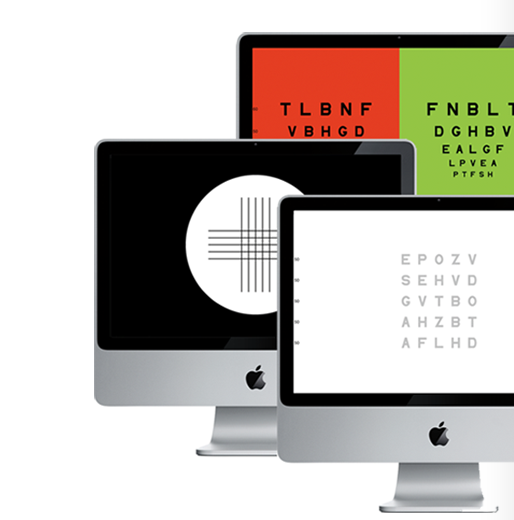 With tests ranging from customizable randomized acuity charts to complex digital diagnostic tests, 20/20 vision is suitable for optometry, ophthalmology and clinical trials alike. Our remote is simple and easy to understand, and our world class phone and support system allows you to easily replace any existing system without worrying about added complexity. The most complete acuity system on the market is also the most affordable! Replace your aging projection systems with the ultra modern acuity testing system by Canela Software. 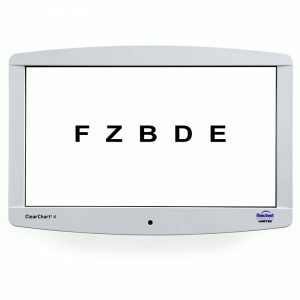 You will find your new acuity testing system to be easy to use and powerful enough to tackle your day to day testing needs Our technology runs on Macintosh and Windows based computers with feature parity. Get the tool thousands of private practices, researchers, universities, governments, and ophthalmic manufacturers use to accurately test refraction, astigmatism, binocular vision, contrast sensitivity, disparities, and more.